Article originally posted at http://www.leadersinstitute.com/three-stereotype-shattering-strategies-to-unite-a-diverse-team. Gone are the days when it’s normal to see offices mostly filled with people from the same town, age group, and university. Now, it’s normal for an office to have a 50-year old mid-level employee supervised by a fresh from business school 30-year old. That’s not even considering the diversity of religion, race, gender, political leanings, educational background, and personal beliefs. While, laws against discrimination of all kinds have eliminated blatant racism, prejudice, and stereotypes can still cloud people’s judgment. 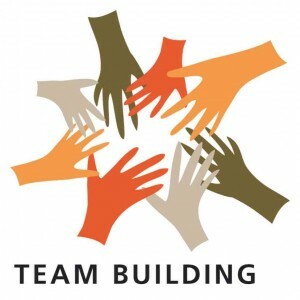 This false sense of a ‘team’ ruins people’s ability to work cohesively with each other. As a leader, it’s your responsibility to promote true collaboration that’s not inhibited by the differences of a diverse team. Failure to do this may result in lack of cooperation, a drop in productivity and revenue. The first step for a diverse team to come together is to establish a culture of free speech, where no one is judged, ridiculed or laughed at for what they have to say — be it a widely accepted idea or a strange innovation. For starters, you can leave all non-management related decision making open for dialogue with your team. For example, they can talk about upcoming holiday leave and work schedules. Everyone will probably have their own interests, and opinions about their team mate’s ‘over long vacations’ or ‘unfair work distribution,’ some might even think you’re playing favorites. Your job is to facilitate the dialogue as a moderator, not as their boss. Ensure that everyone’s side is heard, along with their suggested solutions. After the discussion, your team will have gotten to know each other better. They’ll reveal a bit about their personal lives while negotiating for their preferred holiday leave/shift, and they’ll make concessions with each other, too. It’s an excellent discussion for getting to know each other and learning to solve problems, or negotiate as a team. Praising individual contributions of employees work well on one-on-one talks, but praising that individual in front of the team isn’t the best way to promote collaboration in an already estranged group. The rise of one star employee often creates unnecessary feelings of bitterness, allegations of favoritism, and an unhealthy spirit of crab mentality in the team. Those not praised will be reluctant to try harder next time, while others may think working alone is the only way to gain recognition for themselves. Next time your team accomplishes something, praise them as a whole. When they fail, reprimand or coach them as a team, too. But how can you implement this, exactly? Let’s say your team has a monthly quota or a certain performance metric to meet. Most months, two high-performing team members drag your team just above the passing mark, while the rest are struggling or else just going through the motions. In this scenario, you can divide your team into two smaller groups each led by one of the aforementioned high performers. Emphasize the star employee’s role is to help others in improving their performance, not in hitting the quota or metric. This way, the top performers are given a new challenge to conquer and are learning to collaborate with their teammates at the same time. The non-performers, on the other hand, are given hands-on support and coaching, so they’re not just waiting in the sidelines. Conflicts arise because people have differing opinions. Sometimes, teammates can get into each other’s nerve, upset each other’s feelings, or unknowingly insult a team member’s idea by opposing it. Disagreements can interrupt production, yes. But avoiding all conflict is also unhealthy. If a disagreement sparks because of a difference in opinion about procedures, let it play out. See if the opposing side has a valid idea worth testing. Don’t just sweep it under the rug by commanding your team to “drop it.” Innovation can rise from conflicts, you know. It’s difficult to manage a diverse workplace, especially if you have no plan of action. So let this article be your guide in building a diverse team. Finally, don’t be complacent when you see a semblance of team work because it’s easy to undo all that camaraderie in a day.